Breeds go in and out of fashion – and sometimes they fade entirely. The Salish Wool Dog is an extinct breed that was a true ‘sheep dog’ farmed by Native Americans for its valuable fur. The Salish Coast tribe inhabited what is now Washington State and British Columbia. They carefully cultivated a population of dogs with white, long hair which they would shear like sheep in May or June for wool. The Salish Wool Dog is considered the only prehistoric North American dog breed created by true animal husbandry, which is to say, it was selectively and purposefully bred to create traits useful for the community. Other dogs in the tribe were not cultivated intentionally and developed traits through chance and natural selection. Salish Wool Dogs were segregated from other dogs in the area, on islands and gated caves in packs of about twelve to twenty individuals. Wool Dogs were fed a diet of raw and cooked salmon. Today fish oil is used by the dog showing community as it is well-known to improve coat quality and lustre. The Salish tribe lacked access to sheep and mountain goat wool which was hazardous to gather, hence the substitution of dog fur. The explorer Captain George Vancouver reported the Salish Wool Dog’s coat was so thick when sheared one could pick up a corner and the whole fleece would hold together. 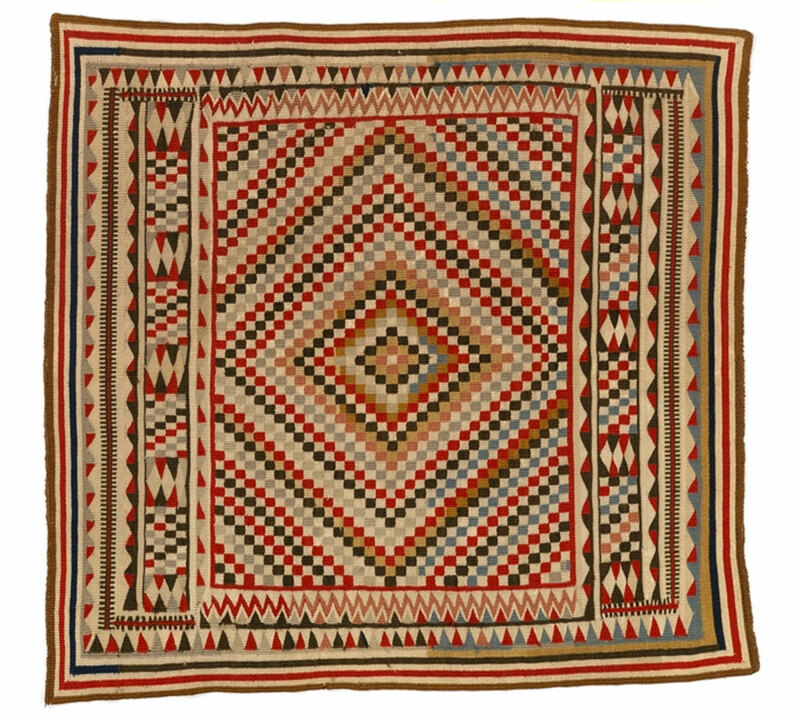 The “Salish blankets” made by the tribe from the fur were prized by Native American tribes, being almost as valuable as slaves. 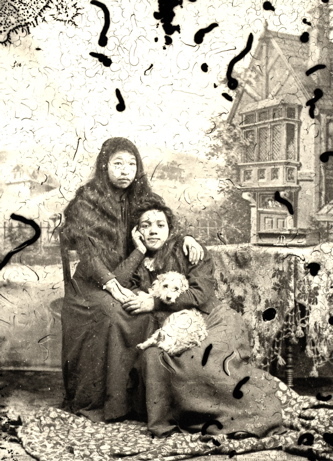 In order to improve the yarn quality and extend supply of the valuable fur, dog hair was mixed with other local materials, such as mountain goat wool, feathers and plant fibres. The arrival of Europeans in North America was the beginning of the end for the Salish Wool Dog. Increased access to sheep, Hudson bay blankets and the destruction of the Native American population itself due to disease and conflict lead to a disruption of traditional cultivation methods. The Salish Wool Dog began to interbreed with other varieties of dog and lose the traits that made it so distinct. By the mid-19th century the Salish Wool Dog was understood as extinct as a separate breed. In 1940 the last known descendent of the Wool dogs passed away. 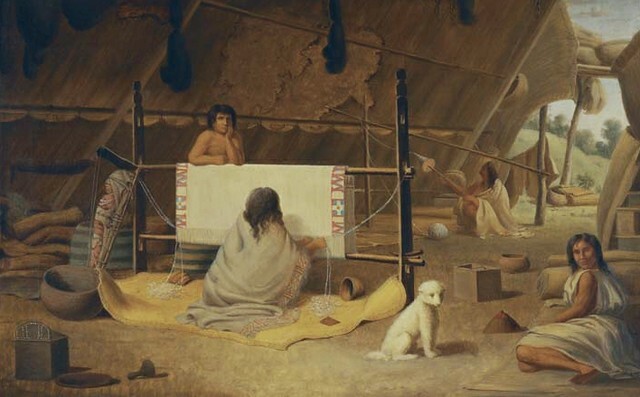 Doubters who claimed the Salish Wool Dog was nothing but folklore have been disproven by recent DNA analysis, which has proven dog hair is a component of a number of surviving examples of Salish weavers’ works. Today, the Salish Wool Dog lives on in the oral history of the Salish Coast tribe and ceremonial blankets preserved in museum collections. There is also a pelt that was re-discovered in a drawer of the National Museum of Natural History in Washington, D.C. of a dog fittingly dubbed ‘Mutton’ who once belonged to a scientist who studied the tribes of the Pacific Northwest.